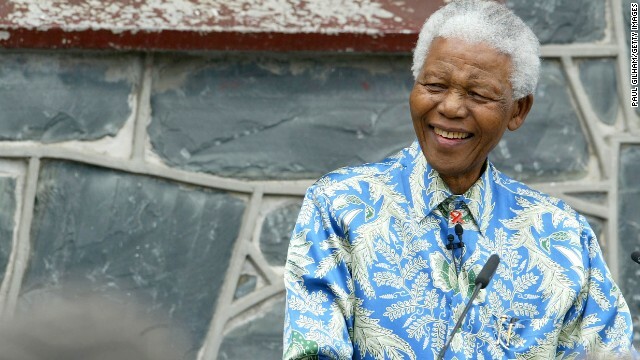 On Thursday, Dec. 5, 2013, CNN reported on the death of Nelson Mandela. CNN correspondent Robyn Curnow is in Johannesburg, South Africa reporting on the country’s reaction to his death. Christiane Amanpour and Wolf Blitzer contribute to the network’s coverage with analysis and interviews. Anderson Cooper will anchor network coverage from 8-11pmET, and he will be joined by Curnow, Amanpour and Blitzer. CNN Films’ ‘An Unreal Dream’ scheduled for 9pmET tonight will be rescheduled. Online, users can go to http://www.cnn.com as well as the CNN Apps for the latest updates, which include articles, photo galleries, interactives and video. Additionally, CNN iReport, the network’s global participatory news community, invites users to share their memories, photos and personal stories of the Nobel Peace Prize winner.